Education is the foundation for the future. But often being in school isn’t enough. A lack of properly trained teachers, physical punishment, and out of date learning techniques mean that many children aren’t receiving the education they deserve. The world is facing an education crisis, and it’s time we did something about it. Quality education places children at the centre of their learning and sees them treated with dignity and worth. When kids receive a quality education, they’re equipped with the knowledge, character, and skills to achieve their God-given potential. They’re equipped to change the world. When students are equipped with an education that develops intellect and character, as well as knowledge and skills, their future is brighter. In the majority world, every additional year of education can increase a person’s future income by an average of 10%. More education equals more opportunities. Access to quality education means that both girls and boys have the chance to reach their full potential and achieve their dreams. Education broadens our horizons. A quality education teaches students about their rights and responsibility to society, and promotes justice, dignity, and worth for all. Wellspring believes in empowering local communities to bring about change. Our team of Rwandan trainers works closely with school leaders, teachers, and parents to see educational barriers removed, schools transformed, and every child treated with the same dignity and worth that God proffers on us all. We provide training and support that sees people flourish and understand their unique role in supporting education. When school leaders, teachers, and parents all rally around the children, the results are astounding. Wellspring’s work is helping bring systemic change to the Rwandan educational system. Through our partnerships with the Rwandan government and other organizations our work is helping influence changes to key educational priorities such as the new national curriculum and the 5-year strategic plan for education. This ensures that sustainable transformation in the education system will continue to improve the future for Rwanda’s children. 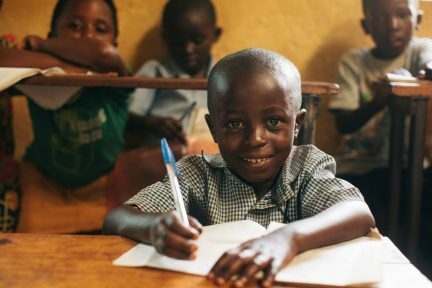 Check out these stories of transformation, straight from the schoolyards and classrooms of Rwanda, to see our work in action. The beautiful country of Rwanda—”The Land of a Thousand Hills”—is a vibrant, resilient, and inspiring nation that is working tirelessly to develop a new legacy and create a new path for future generations. No longer is Rwanda a place associated primarily with its tragic past, but rather it’s becoming known as a place of hope, reconciliation, and vision. The transformation of education is critical to the process of overcoming the past, and to ensuring a bright and secure future for Rwanda’s children. This is why our team is passionate about sparking change in school communities across Rwanda. There are many challenges—overcrowded classrooms, undertrained and underpaid teachers, high dropout rates, and gender inequality—but there is hope. Education lays the foundation for the future, and the future of Rwanda is bright indeed.